I had a delightful photo shoot over the weekend with a Middle Eastern-style dancer from the Milwaukee, WI, area. 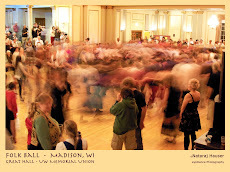 I have been connected with the Madison belly dance community for a decade or more having taken classes for a bit over a year. One of the local dancers recommended me as a photographer (Thanks Tracy!) and I got the work. There are more in a SLIDE SHOW where they can be viewed in all their lush yumminess! UPDATE: Oops, forgot her link so you can hire her for your next event!